Ok, let's look at some of your points, ji. You say "the arrogance of some to slander Sant Singh Khalsa as not following the correct interpretation". Slander, FYI means to spread false information about a person. You are taking a lesson from the Bhajanist playbook. One of their favorite tactics is to accuse a person of slander when they present an inconvenient fact that does not reflect well on 3HO or YB. There is no slander here, nor arrogance. Anju Kaur is merely pointing out that Sant Singh is adding words and ideas that do not occur in the original Gurbani. If he had said “Oh siblings” instead of “O brother” you would have a valid point. But you are totally avoiding the fact that he has added words and ideas not present in the original Gurbani. This should be abhorrent and inexcusable to any devout Sikh. Are we then supposed to be grateful because 3HO/SD is “more of a Sikh organization” than it is a Hindu organization? Why could not 3HO/SD be a total Sikh organization? Whatever YB’s background, when he came to the US he looked like a Sikh, dressed like a Sikh and, when he was around Sikhs, he talked like a Sikh. Later, with his disciples, he began to talk like a Sikh – rather than a yogi - and to all intents and purposes acted like a Sikh. Except when he was participating in the occasional Hindu hom (fire ceremony). He said over and over again that his mission was to create the Khalsa in the West. He made it clear that he was expecting us to be Sikhs; yoga was expected to be a sub-theme. You talk about an “old picture of Yogiji in Hindu garb”. I presume you mean that one at the start of the article. FYI, that picture was taken long after he was teaching Americans to be Sikhs. It was not something that was taken before he came to the US. A lot of not just bad but evil deeds took place while he was alive. The 3HO publicity machine and YB himself were very good at covering these things up. Lies, big lies were told, as we see from the admission from the Jathedar of Akal Takhat that YB was NOT given the title of Siri Singh Sahib by him or anyone else. Women were abused and raped. Children were sent to India and many were emotionally damaged by the inhumane conditions there. People were browbeaten into unhealthy marriages and consequent divorces. People who chose to leave the organization were slandered and vilified. In my own case, YB threatened to spend half a million dollars to destroy me. He then tried to sue me but backed off after I told his lawyer that I was going to go on a tour of Gurdwaras in California to tell the truth about 3HO. You say "The idea of translation is not of translating it from the languages of the Guru Granth Ji but regarding to be able to convey the meaning of the words of Gurbani." Sorry, but this is nonsense. "Translation" means "translation", believe it or not. It means to take the original text and translate it into another language following the original as closely as possible. What Sant Singh did is called a recension – meaning to take someone else’s work and to rewrite it, perhaps to give a clearer or more concise explanation. Now there’s nothing wrong with that per se. But with Gurbani there is always the danger of inserting one’s own ideas and prejudices into the translation, which he did. Not only his own ideas but YB’s. And therein lies the problem. Sant Singh is being criticized because he inserted his and YB's ideas into Gurbani. Ram Rai was disowned by his own father, Guru Har Rai Sahib for changing ONE word. Here we have a situation where many new words and ideas are being inserted into Gurbani but you choose to ignore that and suggest we should be praising him for doiing such a great job. What kind of Sikh are you that you can gloss over the corruption of Gurbani and suggest we praise the person who did it? I am going to address four important points Veer ji seems to have brought up more than once in this and previous discussions. First, what makes all this so difficult is the fact that there IS a lot of good that has been done. The overwhelming majority of Bhajanists – both yoga students and Sikhs – are good-hearted, well-meaning, idealistic if naïve people. There are some crooks and some shady operators – YB liked people like that – but most of these people are of very high caliber. Most of them come from what is called the “New Age” movement. There is a LOT, I mean a LOT of Hindu influence in the “New Age’ movement; which is why most of these people have no problem in doing Hindu pujas. They have never heard of Sikhi for the most part. I have no hard data to back it up but I would suggest that the majority of Bhajanists have used marijuana (or hashish) casually. Certainly that was true in my day. On the other hand I met almost no one who had been addicted to hard drugs, heroin etc. With regard to “kicking the drug habit” as Singh ji says, I had already stopped using drugs (and alcohol) before I started to practice KY. It was no big deal; I just simply decided that these things were not serving me. I’m sure many others have the same experience. YB and 3HO publicity made it sound like they were reforming addicts who were hopelessly lost. That really wasn’t the case. There was one drug rehabilitation center opened. Their results were poor but YB encouraged them to falsify their reports so things looked better than they really were (a common YB and 3HO habit). Certainly Bhajanists who have exchanged KY (Kundalini Yoga) for cannabis have made an improvement in their lives. But one has to wonder if being part of a cult – where all wisdom and everything that is good is made to appear to flow from one man – is much of a step forward in consciousness, even though their health would be considerably improved by the practice of KY. More in a while. Second: Veer ji, you say: “Yogiji is gone, no point talking about him”. There are others who say similar things on FB, their point being that everything that has gone wrong with 3HO since his death is not his fault. I beg to differ. One of the major tragedies in 3HO/SD is the fact that it never had to be this way. If 3HO/SD is built on a web of lies – and it is – one needs to ask, from where did these lies come? For most of them there was no need. Most of the lies, still being repeated today were made up to add luster to his own image. For example, the famous story about their being 250,000 American Sikhs. YB spoke at the Atlanta Pop festival in 1969 where there were about 250,00 young people in attendance. He was really just a sideshow, a little gap between the rock bands, (and he wasn’t that well received) but his secretary took photos of the huge crowd. There are many more such untruths. Any organization that bases its whole reason for being on lies runs a great risk of being undone by the truth. Which reminds me of the saying “If something can be destroyed by telling the truth, it deserves to be destroyed”. And it’s necessary to remember who started these lies. Let’s be honest 3HO is all about money. Perhaps it wasn’t in the very earliest times when yoga classes only required a $1 donation. But not too long after that 3HO – and subsequently Sikh Dharam - became to be all about money; now they are more than ever. Whose influence to do you think made that the case? If you look at 3HO/SD these days, it is STILL all about YB. His misdeeds, some of them truly evil actions have been glossed over and hidden. Now as the truth is coming out – and there’s lots more yet to come; you will be surprised – the Panth is starting to realize just what a mess is there that is not going to be resolved easily. And where did it all start? This is so funny and obviously written by someone who really had no idea of what YB was like. He was the biggest control freak ever. He micro-managed peoples' lives to the 9th degree. If you were close to him and made any kind of major decision without consulting with him first he would go ballistic. He may not have been able to control all that happened around him, but by God he surely tried. The two men who YB kept closest to him - his right hand men (as opposed to his women) - were both business men and crooks. One was convicted for smuggling two tons of marijuana; the other fined $1,000,000 by the FTC for shady business practices. Of course there is no proof that YB had a hand in these things but, if you knew the way YB operated you would consider it unthinkable that he didn’t know what was going on, especially with people so close to him. It a matter of record that he encouraged one of these guys in his shady business practices. He did not drop them after their respective misadventures but, if anything, drew them in closer. Singh ji says “He cannot be responsible for everyone”. Singh ji says: “There is also the politics within the organization,..etc..
Let me tell you about the politics within the organization, at least while I was part of it. No one, no one, no one had any real power – other than him. It is impossible to exaggerate the amount of control he held over everything. There was a supposed Khalsa Council. I was part of it for quite a few years. But it had no power whatsoever. And during my last years as a Bhajanist the constitution of Sikh Dharma was rewritten to give the Khalsa Council even LESS power and YB MORE. Singh ji, no matter how much you try to deflect the attention from YB, he is almost totally responsible for this mess. He did the groundwork, he told the lies, he directed how the non profit corporations should be organized, he put the people, who are now at the top, in charge while he was still alive. Singh ji, I hope you are now finally understanding a little more about how things REALLY were; and how that has affected what is today. “I like the comment "combining sikhi with yoga makes them appear unique and as such , their new philosophy sells well ". It is many years since I have been to a Bhajanist yoga class, but when I did, there was no mention of Sikhi. There seems to be a general opinion that Bhajanism is a mixture of yoga and Sikhi and I suppose it is. But YB's Kundalini Yoga (KY) does not say hardly anything about Sikhi other than the occasional mention of Guru Ram Das ji. You never hear about Guru Nanak Sahib or Guru Gobind Singh ji. 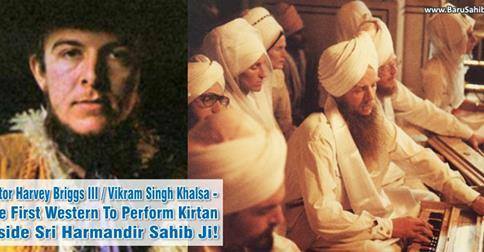 Actually you rarely hear about the Guru Sahiban (other than Guru Ram Das) even in Sikh Dharma gatherings. The point being that Hinduism and Yoga sells and attracts people; Sikhi does not. So don’t make the mistake of thinking that there is any focus on Sikhi in these KY classes. There's a lot more messing with the meaning of Gurbani in the Sant Singh translation than just Bhaaee. That one stands out because it comes so many times and uses a group of words which have no equivalent in the original Gurbani - I really don't understand why you can't see that as being wrong. However there are many more instances, usually to do with inserting yogic meanings that were not intended by the Guru Sahiban who wrote it. That is wrong to change the intent of Gurbani to promote your own agenda. Sant Singh set out to promote the words and concepts of YB in he recension of Manmohan Singh's orginal work. For the life of me I cannot understand how you can condone that. Singh ji, normally I would agree with you about not speaking ill of the deceased. However YB was not a normal person. Perhaps you don't realize that he did in fact have close to absolute power over a lot of people. And you know what they say about absolute power - it corrupts absolutely. With regard to his defense, he has more than enough defenders. They make sure to the absolute best of their ability that no one posts anything negative about him on the Internet. If someone does (like veer Gursant Singh ji) they do their best to assassinate his character since they cannot counter the facts that are shown. There is a saying “Time heals all wounds”. My life experience has shown me that this is not true. This saying should be amended to read “Truth heals all wounds once it is revealed.” Singh ji, YB left a LOT of wounded people. I don’t mean to sound like I am talking down to you but you really have no idea of the extent of how much harm was done. I don’t even really like to talk about it but, if necessary, I will. What is happening now is a much needed catharsis. The secrets are coming out and I can assure you that this article is only the beginning. There’s much more to come. When he was alive he managed to create such an atmosphere of intimidation that people were terrified of him. It was almost like dealing with a Mafia don. I know of at least one case where a professional muscle guy was sent in to intimidate a person who was threatening 3HO. There were others. You ask for suggestions about how to move forward. I don’t really have any. We know that they will not listen to people like us. We threaten their very being by suggesting that what YB told them may be against Gurmat. Things are going quite well for the Bhajanists in the KY arena; some people are making a lot of money. In Sikh Dharma they managed to get the Jathedar of the Akal Takhat Sahib to come to their Khalsa Council meetings last October to lend them an air of being approved of by the authorities. One has to wonder how much it cost them to get him there and also despair that one could even have such a though about the occupier of such an august office. Sad but true. There was recently an election for the officers of the Siri Singh Sahib Corporation. The manifesto of the various candidates was published on the internet. They were asked a series of questions, most all of which were about their relationship with YB (but he’s dead, says Singhji). Yes he’s dead, but that was the overriding concern – that these prospective power wielders make clear that they have a good relationship with him. There were no questions asked about their relationship with Sikhi or with Guru Maharaj. Anyway, there were three candidates who suggested that things were not well; that there was corruption and a lack of spiritual commitment in the present leadership. These three did not get elected but even the fact that they said what they said would have been enough to get their candidacy thrown out not too long ago. The ball is in their court; they will not change until something drastic happens, which it will. We are living in a time when truth MUST come to the fore. We are living in a time when institutions that are corrupt will be exposed. We are living in a time when those who call themselves spiritual will HAVE to live in truth. So it will be interesting to watch how this whole thing unfolds. BTW, I really do wish them well. It makes me very sad to see really good people having to defend indefensible positions because someone many years ago was more interested in his own self-aggrandizement than truth.